Home Education What Else Can You Do With An Engineering Degree? 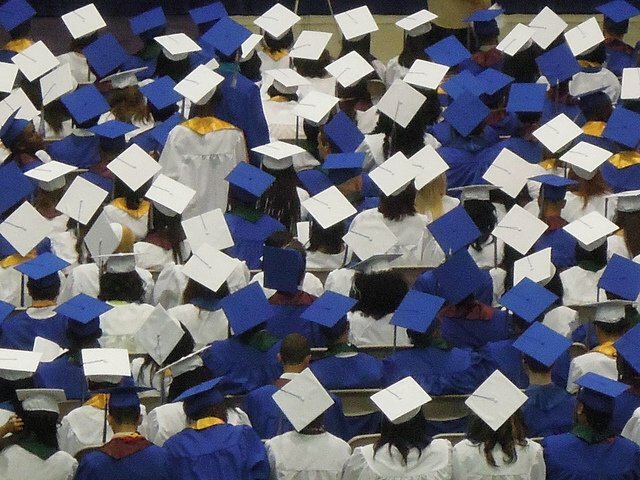 High school graduates are expected to plan the rest of their lives when they’re just eighteen years old and choose a college major that will help them get there. Some people might still have the same goals and aspirations when they’ve finished college, but a lot of us change along the way. Four years down the line you might want to do something completely different, or perhaps you’ve been put off the idea of a career in your chosen field after studying it for a while. Don’t worry, it happens to a lot of us. Now you’re stuck wondering just what you’re going to do for the rest of your life. One of the most popular majors is engineering because it has great job prospects. If you’ve just finished an engineering degree and you’ve decided that you absolutely don’t want to be an engineer, what else can you do with your degree? Logistics refers to the movement and management of goods. There are a few different areas of logistics that you could work in so your options are fairly broad. There are plenty of lean manufacturing programs that you could do online to get yourself a master’s degree. This will make it much easier to get a logistics job. You could deal with the movement of materials to and from manufacturing plants, or distribution of goods to customers. Logistics is a good career choice for anybody with good organizational skills. If you enjoy problem-solving, then you would flourish in this field because a large part of your role would be to work out the cheapest possible method for moving goods. An operations manager deals with the broad strokes of a manufacturing industry. If you don’t want to use your engineering degree in a specific capacity, you can use the knowledge that you have of the engineering industry to oversee others. You will be responsible for managing everybody and ensuring that all of the separate processes in the manufacturing plant are working together efficiently. Beyond that, you can assess the efficiency of the operation and think of ways to improve it. Communication and people skills are vital for this role as you will be collaborating with all of the different departments in the business and you are likely to be interacting with people from all walks of life. This will be a pretty drastic career move that takes your knowledge of engineering and applies it in a completely different setting. If you are considering patent law, be aware that you will need a lot of extra qualifications on top of your existing degree and it can take up to five years before you are fully qualified. Once you are, you will be dealing with clients and advising them on patenting their new products. It is an exciting career for anybody that is interested in innovation because you will get to see new technologies before they hit the market. You need to be able to meet strict deadlines and deal with all sorts of clients if you are going to do well in a career in patent law.